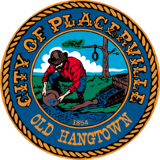 If you've just moved, relocated, or plan on building a home in the Placerville City limits, you will find the following procedures helpful in applying for a new City water and/or sewer service account. To establish a new water and/or sewer account, please visit the Finance Department,located on the first floor of City Hall, 3101 Center Street, Placerville, CA 95667 or call, 530.642.5225. Our business hours are Monday through Friday, from 8:00 AM to 5:00 PM. Lease agreement signed by the owner/manager and tenant . Owner/tenant accounts may be established in the tenant's name for payment purposes, and a duplicate statement will be mailed to the property owner. According to City Code Section 7-3-10(A), "All water service accounts shall be recorded in the property owner's name and billed to the property owner, and in all cases the property owner of the property to which water is supplied shall be held responsible for the payment of the water charges." In addition, Section 7-3-10(B) states, "The water service charges imposed pursuant to this City Code section constitute a lien upon the parcel of real property to which such water service was rendered." When transitioning service to an owner/tenant scenario, please provide the tenant's move in and/or move out dates. All water and sewer bills are due and payable within 20 days of the billing date. Payments can be made over the phone, by calling 530.642.5225 using a Visa and MasterCard, after hours by dropping your bill in the metal drop box located on the South side of City Hall, or in person with cash, check or charge. Delayed payment or non-payment of water/sewer bills can result in late fees as well as disconnection and lien charges. A per-trip service fee is charged for all service disconnections due to non-payment and an additional fee for turn ons after working hours. Accounts that are delinquent after the first late notice will be sent a 48-hour disconnection notice and charged a $10.00 fee. A second 48-hour notice will be hand delivered if the account remains in arrears causing another $10.00 fee to be charged. If it is necessary to disconnect the water meter, there will be an additional $40.00 disconnection fee and a $40.00 re-connection fee charged to the account. If it is necessary for the City to file a lien on the property, an $13.00 fee will be charged to the account. The City is always willing to work with you, the customer, and encourages you to call the Finance Department if you anticipate paying your bill after the specified due date. To avoid late fees, please call prior to the due date, and staff can explain our payment plans with you. The City also offers a temporary/seasonal disconnect/reconnect service for a trip fee of $10.00. An additional $10.00 fee will be charged for additional services rendered during the same year. The City provides courtesy indoor/outdoor water leak audits during regular business hours. Please note that the property owner is responsible for maintaining the plumbing infrastructure from the water meter to the home/business. If you would like information regarding water meter installation and connection fees, please refer to the Engineering Division section of this website.